European heliotrope, native to the Mediterranean and western Asia, is a rare visitor to New England, having been collected only in Massachusetts. 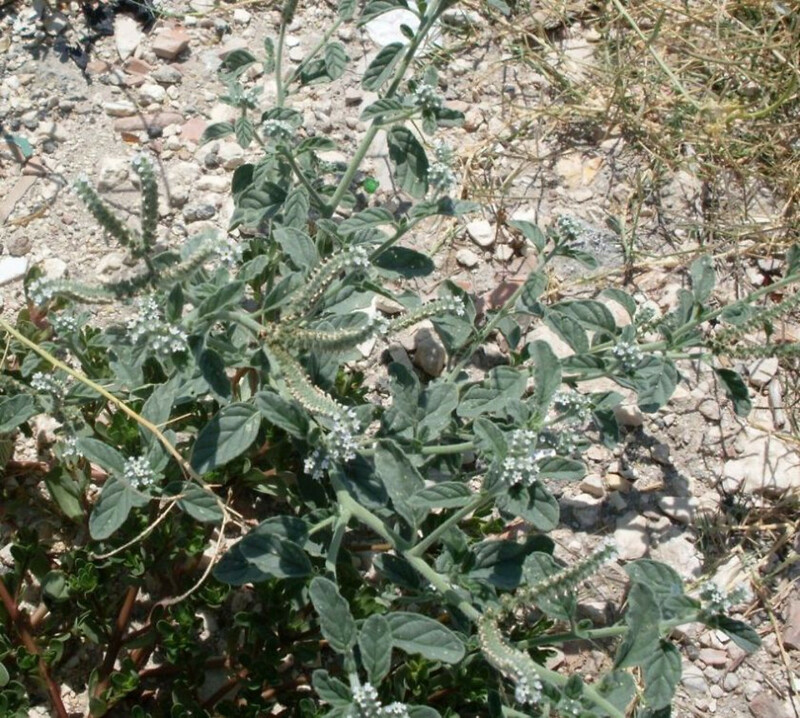 The plant is traditionally used in European herbal medicine to treat urinary inflamation. leaf blades linear to narrow-oblanceolate, 2-5 mm wide, glabrous (vs. H. europaeum, with leaf blades ovate to elliptic, 10-80 mm wide, appressed-pubescent). 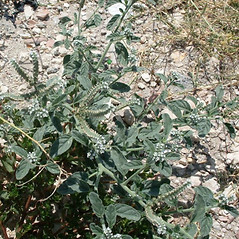 European heliotrope. MA. Roadsides, waste areas, gardens, wool waste.